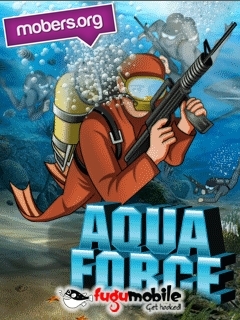 Aqua Force (by Fugumobile) — Mobers.ORG — Your Daily Source For Mobile FUN! Deep under the icy waters of the frigid Devil’s Ice shelf, Dr. Doom has secretly built his impregnable underwater fortress. From his cold lair, he contemplates and plots the destruction of cities above. 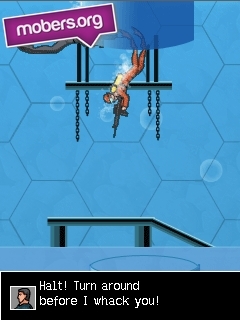 The only way to stop this maniac is to infiltrate his facility and send Dr Doom to a watery grave. 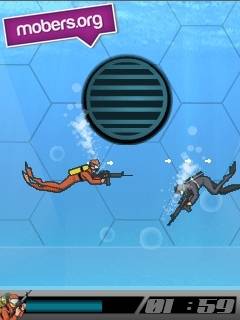 As a team Aquaforce specialist, you Agent H2O have been chosen to fulfill the mission. 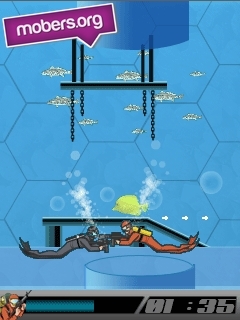 Don’t let the Aquaforce down.